Suzuki Connect will help NEXA customers track their car, view essential running status information, and be alerted in case of an accident. "Suzuki Connect is an advanced telematics solution developed and tested in India to offer seamless connected car experience to car owners. A nationwide extensive study was conducted to understand the challenges that Indian car owners face daily and their expectations from these solutions. 'Suzuki Connect' empowers customers to manage host of services such as emergency alerts, vehicle tracking, driving behaviour analysis, car assistance, and many more functions on their fingertips and create a delightful car ownership experience. 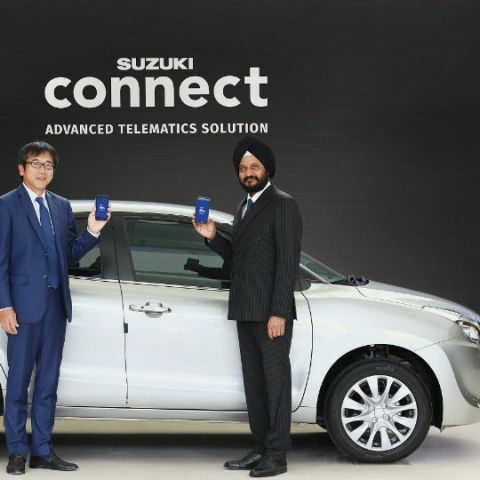 Unlike other OBD based telematics solutions available in market, 'Suzuki Connect' is a TCU based solution which is better, safer and more user friendly," said Mr. R S Kalsi, Senior Executive Director of Marketing & Sales at Maruti Suzuki. To start using the solution, a NEXA customer will have to register for the subscription, which costs Rs 9,999 for a period of three years. Once registered, their car will be fitted with a Telematics Control Unit, which will exchange information with a centralised server connected to NEXA customer care through a cellular network. Maruti has planned to use Vodafone India as its network provider. The customer then has to install and launch the NEXA app on their smartphone to start using the Suzuki Connect features. The first feature is emergency alerts in case of an accident. The TCU automatically sends an alert to any five user-selected members in case it detects that the airbags in the car have been deployed. This way, friends or family members can receive vehicle details including GPS coordinates during a major road accident. The second feature is a preventive functional alert. The TCU will prompt a Maruti Suzuki customer care executive to get in touch with the car owner in case it detects a malfunction in the car around areas including engine oil pressure, engine coolant temparature, the transaxle, and battery charging. The third feature allows the app user to track the vehicle’s position at any given time. A geo-fencing feature alerts the user in case a preset distance radius (or ‘fence’ area) on the map is breached. What it means is that the user could set a fence distance of say, 35 kilometres on the map around their home and be alerted if the driver of the car strays any farther than that. A tow-away alert feature alerts the user in case it senses the car is being towed away. The app also allows the user to check live status of essential components in the car remotely, such as odometer reading, fuel level, status of the air conditioner and seat belts. Apart from regular service reminders, alerts for low fuel and overspeeding can be enabled too. This feature could come in handy if the owner of the car is in the habit of lending the car to other drivers regularly. Lastly, the app analyses driving behaviour in terms of fuel economy, comfort, and safety. It scores the user using a star-rating system by reading their style of acceleration, braking, and other activities. It also collects the data and presents it in a consolidated format so that the user can review it and improve their driving style.